Review written by and copyright: James-Masaki Ryan (2nd February 2019). 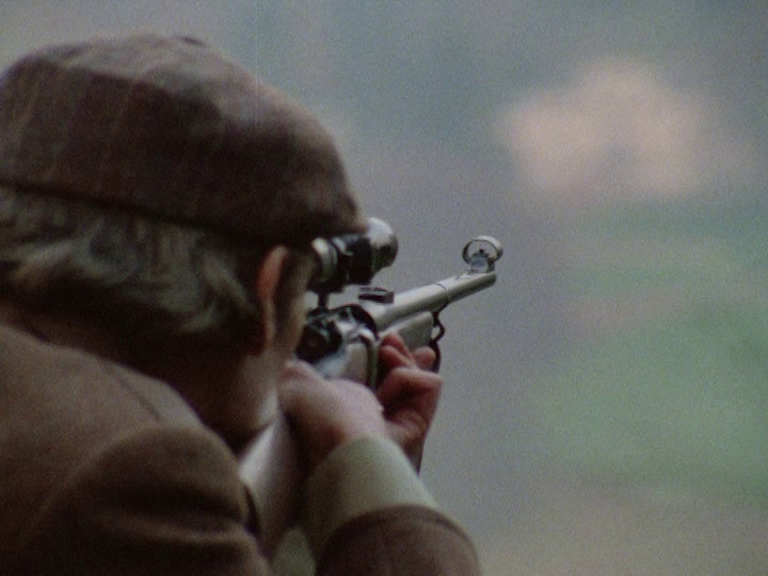 At a remote estate on the hillside in Nazi Germany, a British man is caught just before shooting a fatal bullet into the head of Der Furher Adolf Hitler. 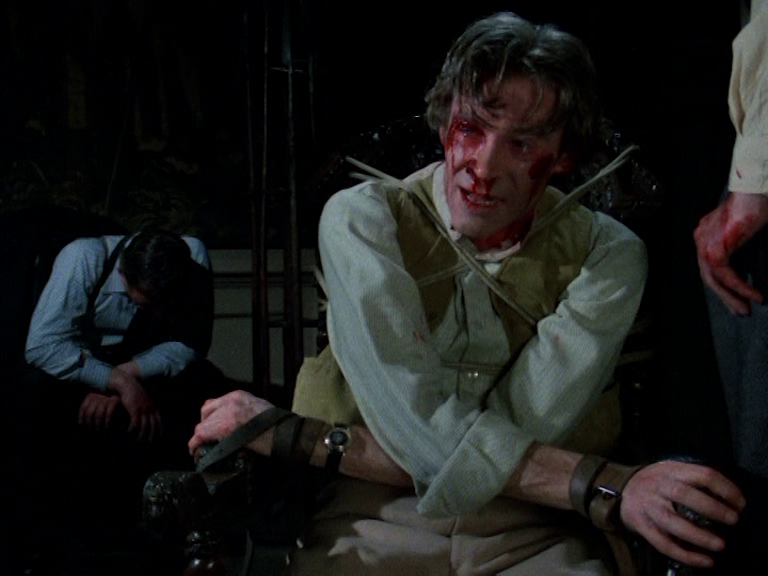 The Brit who is identified as Richard Hunter (played by Peter O’Toole) refuses to cooperate with the German Gestapo, enduring torture in the process. 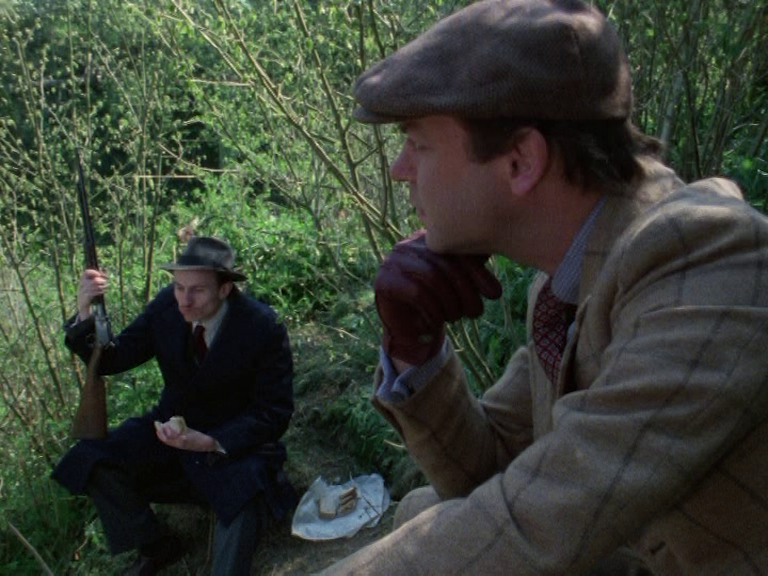 The German try to stage an accidental death by pushing him off a cliff, but the plan fails as Hunter survives and makes it a fair distance away. With the aid of some helpful folks, he eventually makes it back to merry old England but that would not be the last of his worries. 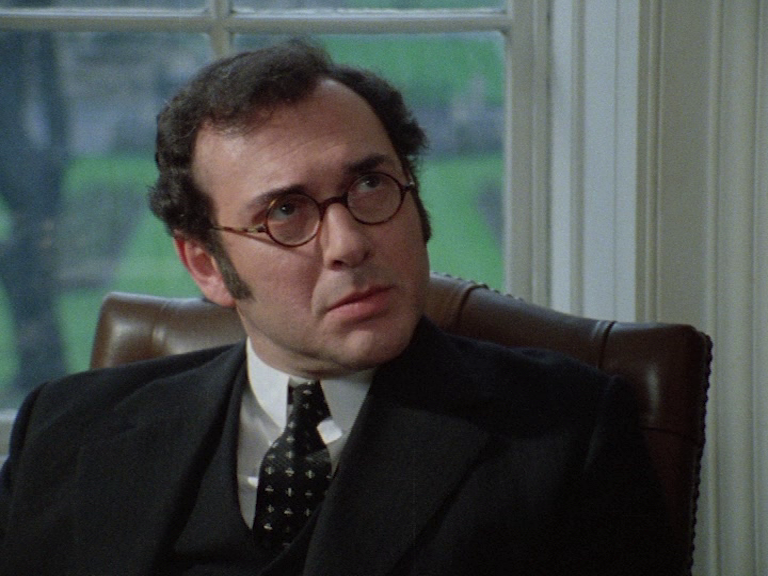 The German authorities and spies are hot on his tail, and even with the aid of his politician uncle (played by Alastair Sim) and his good friend Saul Abraham (played by Harold Pinter). But even with his skills for survival and quick thinking, the people out to get him are never too far behind. Adapted from novelist Geoffrey Household’s 1939 novel of the same name, the original work was never explicit in mentioning Germany, Nazis, or Hitler but the image was clearly put with a timely touch. Britain was not yet at war with Germany at the time but the inevitability was obvious. And with the UK’s decision to enter the war against Germany on September 3rd 1941, "Rogue Male" at the time was seen as a nailbiting thriller told in reality. 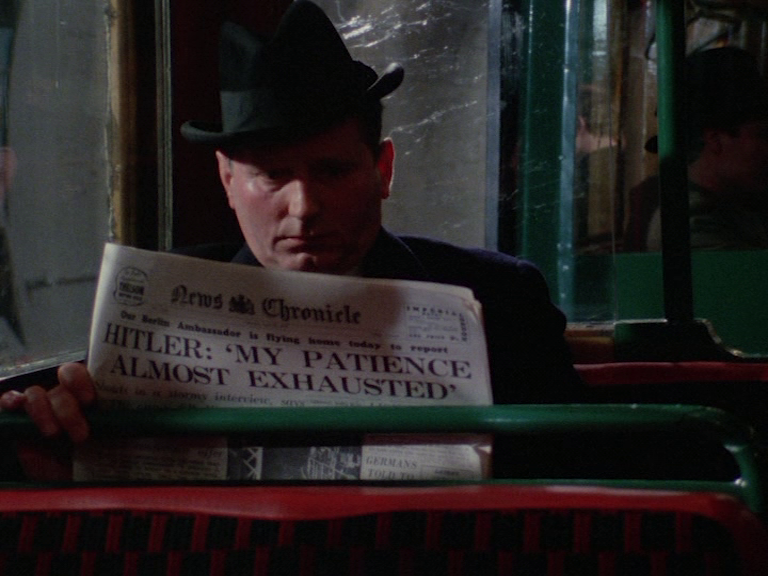 When the book was adapted to film in 1941 in "Man Hunt", the German symbolism was seen explicitly on screen as was the name of Hitler mentioned as part of the assassination attempt. It was also directed by Fritz Lang, who a few years prior fled Germany and made Hollywood his new home. The film was released on June 13th 1941, half a year before Pearl Harbor was bombed by the Japanese. Like the book, the film was extremely timely and showcased a harrowing reality that was happening in the world. By 1976 it had been more than thirty years since the end of the war and also was a revival of the story with the new adaptation for television, also titled "Rogue Male". 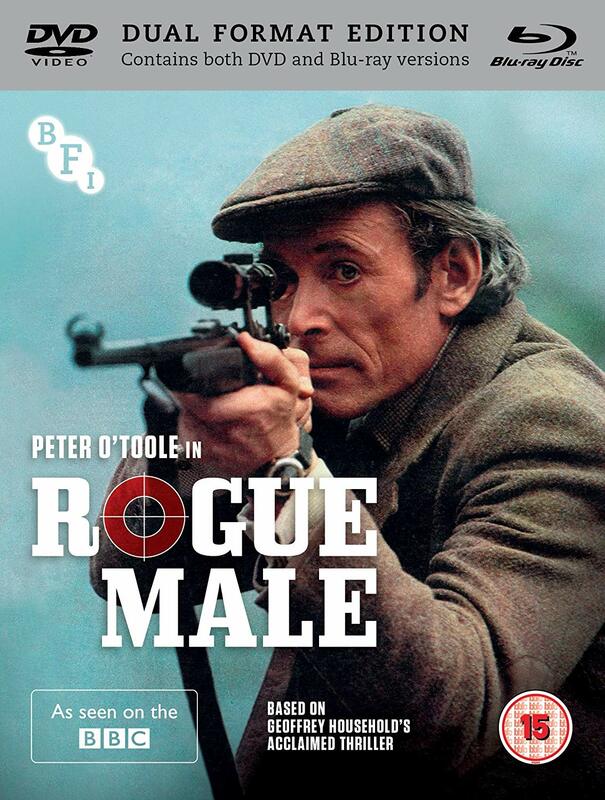 "Rogue Male" was shot specifically for television rather than cinema by the BBC and yet it has a cinematic feel in terms of pacing, structure, and some violence. it was scripted by looking back at the original source material rather than the Hollywood film for the writing process, though unlike the original book, the new script would clearly state the target was Hitler and that it was about the escape from Nazi Germany. The man would also be given the name of “Hunter” rather than being unnamed, and it is never really stated if that is just his name by birth or a name that he chose due to his work. 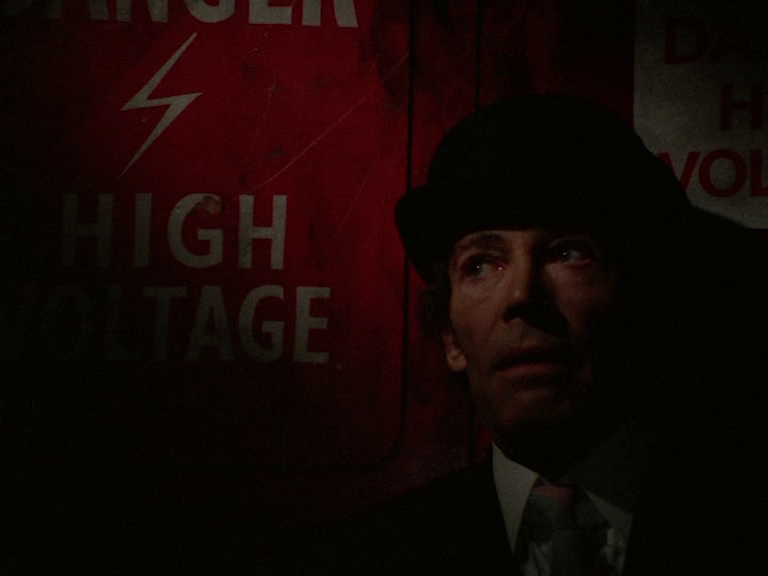 Peter O’Toole plays the part with a state of elegance that one might expect with British spy films and the upper class with his accent and charm, even if he gets bloodied in the process. His character certainly has a way with words and the people he encounters, from the German fisherman (played by Ray Smith) to the sailors of the British ship who help him escape the country illegally. The highlight of "Rogue Male" comes in its tense third act taking place in Dorset, where Hunter is able to hide from authorities that are after him for attempted assassination, by living in a makeshift underground hole and avoiding contact. Basic survival instincts, no straightforward way of an escape, the game of cat and mouse literally becomes that, especially with the little addition of a cat he befriends. It is from there that agent Quive-Smith (played by John Standing) must also be as quick and as smart as the man he is chasing. As with many other survival stories, the protagonist may always be just one step ahead, but having incredible vulnerability, as witnessed by flashbacks of Hunter and his reason for the hatred against the Nazis. 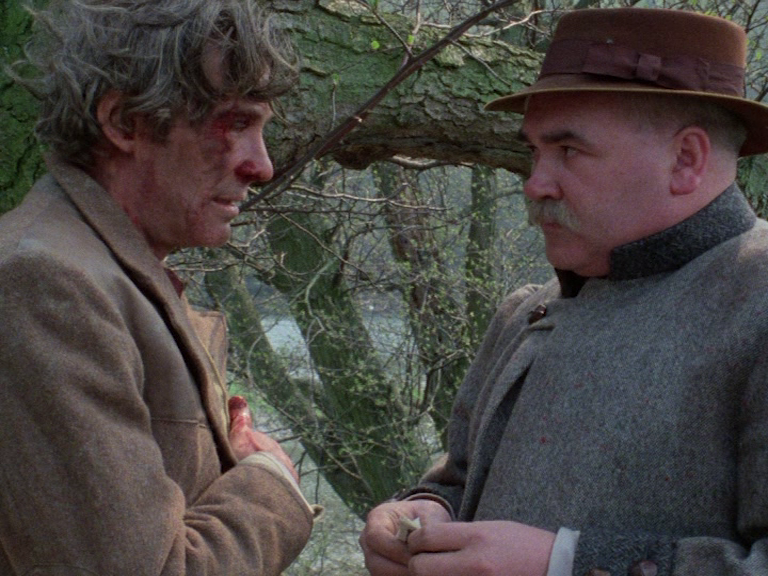 "Rogue Male" in 1976 could be seen as sort of an alternate reality to what happened in wartime, as the general public were well aware of the atrocities committed by the Nazis in WWII, and a clear understanding of the evils of Hitler’s regime. Vietnam was in the public’s consciousness but it was a war without a clearly defined leader or villain on the other end (unless you count Nixon...). 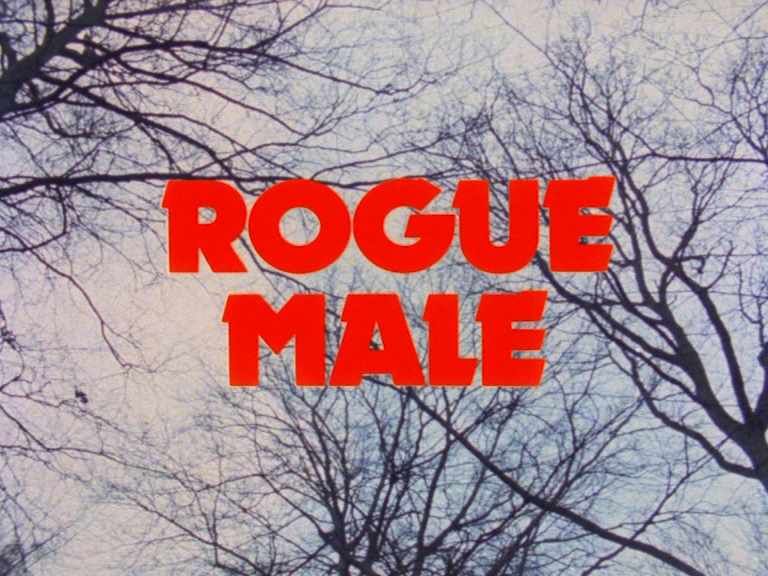 "Rogue Male" came at a time where it was not of its time, and never felt like a production from the 1970s, especially television. The pacing is fair in taking its time for dialogue and points of explanation. It does not play by the rules of spy cinema where the gentleman has fancy gadgets or fancy women. There are no car chases or explosions, no quick editing or montages, but a production that is not afraid to take its time with telling the story and having the characters say what was on the page. For modern audiences the film might fell on the slower side but that’s technically what makes it work. If it were shot and edited like a modern survival thriller the film might be over in a montage. It’s lean in its presentation and execution, with very little if any filler applied. The budget certainly shows that it is a small production, as stated before there are no major setpieces such as fast chase scenes, but instead relies on natural locations in the mountains, uncrowded areas in England or in the fields of Dorset. It doesn't feel "cheap" while watching as the viewers are more hooked in on the story and outcome of the protagonist throughout, and there is just enough background on his character to make him relatable yet having a bit of mystery to keep audiences guessing. "Rogue Male" was broadcast on September 22nd 1976 on BBC. Although the production could have easily been a work shown in cinemas and was looking to have some screenings in addition, the plan was scrapped as the workers on the production were paid at scale for television, thus would cause issues with labor unions and additional fees. The telefilm was positively reviewed and even O'Toole has stated that his role as Hunter was his favorite role to play. It was relatively unseen over the years and especially overseas, but thankfully this restored Blu-ray and DVD edition from the BFI gives life back to the wonderful days of television movies that have almost entirely been replaced by streaming movies these days. A remake of the story with Benedict Cumberbatch is apparently forthcoming, and whether it will update anything in terms of time, pacing, language, technology, etc. More than forty years after the original novel was published, Household wrote a sequel entitled "Rogue Justice" in 1982, continuing the story of the man on the run and his quest to return to Germany to finish the job he started. While the follow-up story was never adapted to television or cinema, but depending on the "Rogue Male" remake, it certainly can be a possibility. The BFI presents the film in the original television 1.33:1 aspect ratio in 1080p AVC MPEG-4. Shot on 16mm film, the original A&B negatives held by the BBC archives were scanned at 2K and remastered for this release. The colors are a bit on the brighter side, with strong reds as seen with the Nazi symbols and the blood. Detail is very good throughout, the picture is always stable, and there is a healthy but unobtrusive amount of grain in the picture. It is not perfect though, as some vertical scratches and specs are visible in some scenes, not removed through digital restoration. Overall it is a very good recommendation and what must be miles ahead of what was seen on its original standard definition TV broadcast in 1976. The Blu-ray has the film with a runtime of 102:49 while the DVD has the runtime at 98:43 accounting for 4% PAL speedup. The original mono audio track is given an uncompressed 2.0 track on the Blu-ray, and a standard Dolby Digital track on the DVD. Like the image, the audio has been restored as well, coming from the original 16mm magnetic audio masters. There is not much to fault with the audio as it sounds very clean and clear with hiss, pops, cracks, or any damage being basically non-existent. Being a mono track it does have issues with fidelity and some minor issues with the location recording, but overall there should be no major complaints. There are optional English HoH subtitles for the main feature in a white font. They are well timed, easy to read with no spelling or grammar mistakes. This is a dual format Blu-ray+DVD edition, with the film and the extras on the Blu-ray with the same content repeated on the DVD in standard definition. 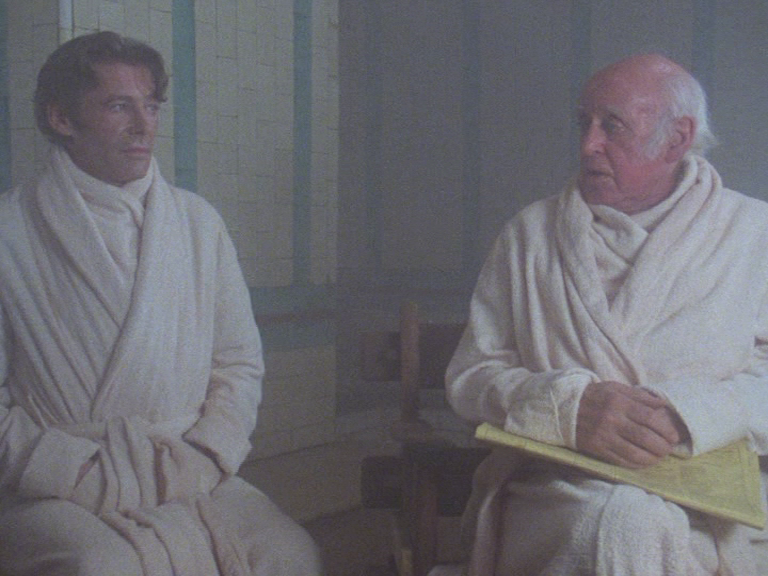 Following a special screening of "Rogue Male" at the National Film Theatre on April 18th 1982, writer ,a href="https://www.imdb.com/name/nm0710698/">Fredric Raphael has some great stories to tell about his career, writing for films and television, and about the production of "Rogue Male". Being born in America but raised in Britain, when he does impersonations of some people such as Stanley Donen and Peter Bogdanovich, his American accent is impeccable as he is hilarious while telling the stories. Included here is a 2000 audio interview by the later director Clive Donner who died in 2010 at the age of 84, as he discusses about working with O'Toole, his dislike for the 1941 film, and more. In addition to the interview, it is accompanied by a great photo gallery of stills from the set and behind the scenes. In 1972, rolls of private home movies taken by Adolf Hitler's assistant and long time mistress Eva Braun was discovered in a US government archive. While the leader's image was stoic and vigorous due to films such as "Triumph of the Will" and other propaganda films, the footage as seen here shows Hitler as what most never saw. He is chatty, smiling, dancing, friendly, and even a bit playful. The footage presented here shows Hitler with many of his people relaxing at a hillside estate, very similar to what was recreated for the opening sequence of "Rogue Male". The footage may be extremely old and shot with handheld cameras, but the color footage looks quite exceptional with fairly good colors, good details, with the expected specs and scratches in some areas. Shot silent, there is no music or narration provided. The film and the same bonus features are presented in standard definition PAL. A 32 page booklet is included, with essays, credits, stills, and more. The first essay is "The Deadliest Game" written by journalist Paul Fairclough as he breaks down the film, its origin as a novel, and its production. Next is "The Thrill of the Chase" by filmmaker and curator Sarah Wood. Then comes "Rogue Male: A Sartorial Perspective" by Gustav Temple on the character of Hunter and his intentions, Last there is author David Morrell's "Rogue Male: An Appreciation". As the author's novel "First Blood" was heavily influenced by the work of Household and the latter portion of "Rogue Male" sharing many of the themes of the first Rambo story, it's a great read to see from his view. Lastly there are special features credits and acknowledgements. "Rogue Male" is an excellent adaptation of the novel, with fine performances, and great storytelling the old fashioned way while keeping things on the move. Television just doesn't have work like this anymore. The BFI dual format set has an excellent transfer of the film with very generous extras making this set recommended.